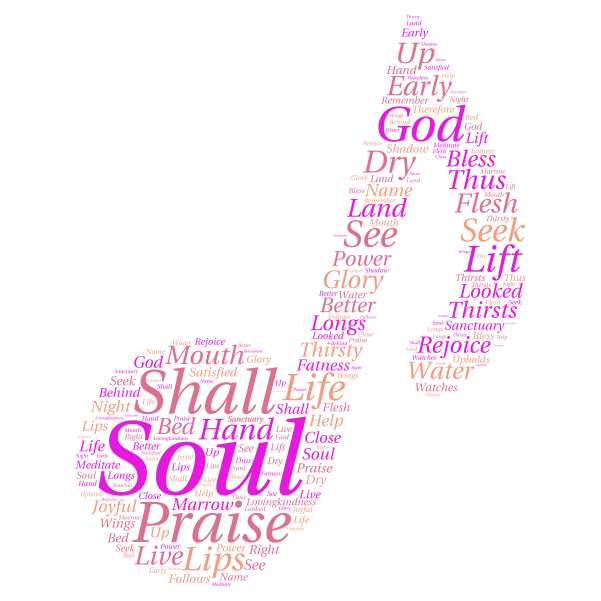 Sing your praise to the Lord. Or play it. There was a violinist playing with our worship band this morning in church. She’s there every six weeks or so, and it’s a lovely addition to a group that already leads us so beautifully. Normally, there are two guitarists ~ one bass and one regular ~ and a drummer, and a keyboardist, and two singers. But sometimes there’s an additional guitarist, and sometimes there’s an additional singer. Sometimes there’s a mandolin, and once or twice we’ve even had a cellist. Oh, and maybe a harmonica. Over the course of the several songs we sing before the sermon, there were times when I couldn’t hear the music of the violin. It was simply drowned out by the other instruments, or the voices. But there were other times when I could hear it clearly, and I felt so blessed by the sound. The notes it played were often notes that the human voice can’t hit, so I kinda felt like it was worshipping Him in a way we ~ the singing congregation ~ could not. I’m fascinated by instruments and the role they play in music. Rhythm, melody, harmony…. each one doing their part. None of them necessary for worship, and many of them completely different from worship as we read in the Bible. Sometimes you can hear them plainly, and sometimes they are just part of the overall sound. Sometimes they might have a solo, and other times they might go unnoticed by many of the worshippers. But never unnoticed by God. Just like each of our voices, He hears each note, each bar of music is a sweet fragrance to Him. Each of us just has to play our part. ~ “Oh, clap your hands, all you peoples!